Hi I am Karina. For almost 12 years I have been working in sales environment, having very busy private and professional life. I was very successful at my job, always hungry for more and eager to take more responsibilities. Career, kids, partner, housework, expectations….Life was keep going on. Few years ago in 2014 I became sick. After months of struggle with my health I faced the truth that my body gave up and I had no energy at all. My “’batteries” were fully used. I realized that I did not pay attention to at one of the most important part of human beings: the human body! I discovered that mind & body needs to be in balance if I want to achieve long lasting results. At this point in my life I started my journey to discover my REAL SELF. I followed holistic program coaching where I learned tools to manage my energy. For a year I had been practicing and actively learning holistic approach of life. Today I follow this methodology in my daily life and fulfil my dream to help others as Holistic Coach. My heart is focused on women. 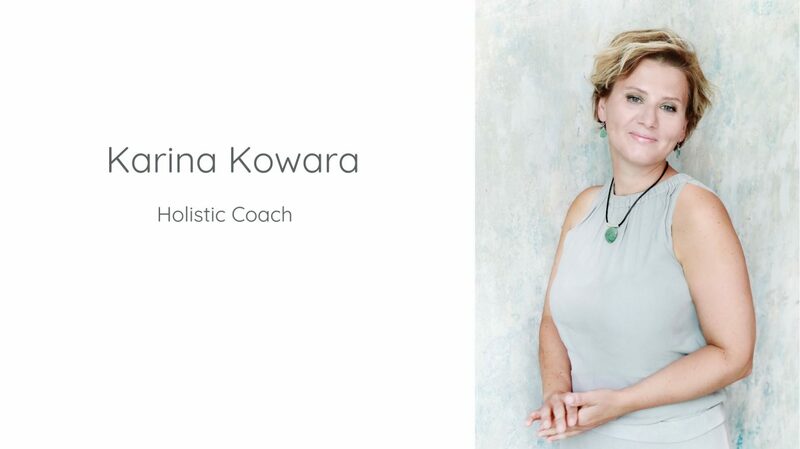 With my individual Holistic Coaching Program for women I inspire and motivate them to discover their REAL SELF. I help them to uncover and heal from the limiting beliefs and energetic blocks which are responsible for their own physical and emotional struggles. Holistic Breaks in Portugal help you to connect with your inner self. This break is an opportunity for you to learn how to manage your energy, feed your soul and learn practical steps. Daily yoga and meditation exercises, energy management workshops, healthy food and positive vibes can help you to find a perfect balance of focus, tranquillity and relaxation. You will stay in Nazare at beautiful house with breath-taking views from upon a hill. You will (re)charge and (re)focus your inner energy and you will discover powerful tools for caring of your body, mind and soul. Self care!Empower yourself your personal program which helps you to enhance your health and wellbeing. You will learn how to manage your stress. You will discover how to identify activities and practices that supports your wellbeing and help you to sustain positive self care in long-term. Inspired and want to know more?